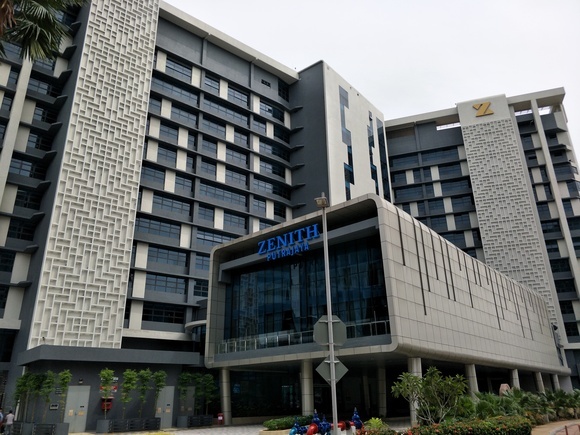 PUTRAJAYA, Malaysia—Mahajak Trio recently deployed a complete HARMAN Professional Solutions audio system at the Grand Zenith Hotel to provide premium sound for performances, events, meetings and more. One of the most luxurious hotels in Malaysia, Grand Zenith features amenities like fine dining, spa services and a lavish Sky Lounge bar. Recently, Grand Zenith decided to update its multi-purpose ballroom with a state-of-the-art audio system capable of delivering exceptional audio for a wide range of events and performances. The hotel also used the opportunity to upgrade the audio system in meeting rooms to allow for more efficient inter-staff communication. To achieve these goals, Grand Zenith hired industry-leading audio experts Mahajak Trio, who suggested a complete HARMAN Professional audio system. Mahajak Trio outfitted the Grand Zenith ballroom with JBL AC2215/95 loudspeakers and Crown CTs 1200 power amplifiers, as well as new JBL EON610 active loudspeakers for additional coverage. Audio is mixed on a Soundcraft EFX12 mixing console, which features built-in 24-bit digital Lexicon® effects processors. A rugged AKG GN50E modular gooseneck microphone with the high-performance CK31 condenser capsule provides the perfect hands-free solution for speakers, while a WMS470 Vocal Set D5 provides wireless mobility for more energetic performers. Mahajak Trio implemented a similar system for Grand Zenith’s meeting rooms. JBL Control 26C ceiling speakers powered by Crown DCi 2|300 amps reinforce speakers with stunning clarity. AKG GN50E, CK31, D5 and WMS470 Vocal Set D5 microphones provide a variety of high-quality options for speakers to choose from. BSS EC-4BV and BLU-100 signal processors provide simple volume and distribution controls, allowing staff to easily control the system without the need for a dedicated sound technician.